Horsehead nebulae taken with 4" F-5.4 Teleview refractor with ST-10ME. 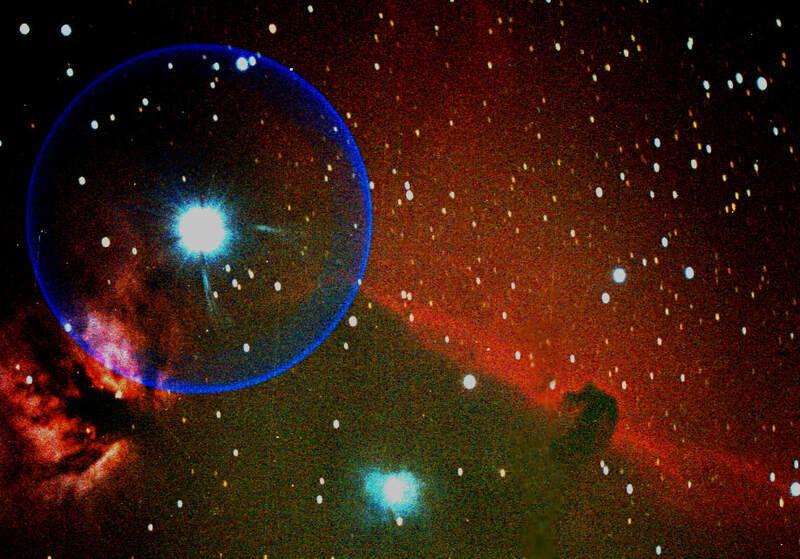 Horsehead nebulae is an absorbtion nebulae which is one light year in heigth. Note bright Zeta Orionis and emission nebula NGC 2024. 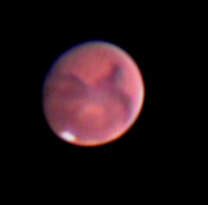 Mars, imaged on a hazy evening (9/09/03). 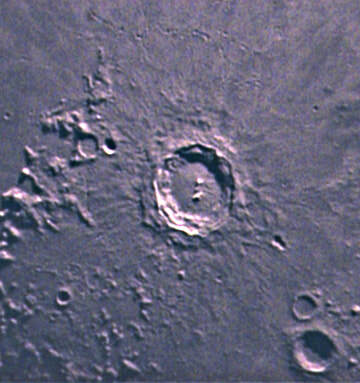 Taken with a Meade GPS 12" LX 200 SCT using Taurus Planetary Setup with 3X barlow (F=30 based on barlow) using a color Astrovid Stella-Cam-EX and processed Registax (wavelet adjustment), Adobe Photoshop and K3CCD Tools, with 125 of 506 images proessed with planetary wizard (KBQ). 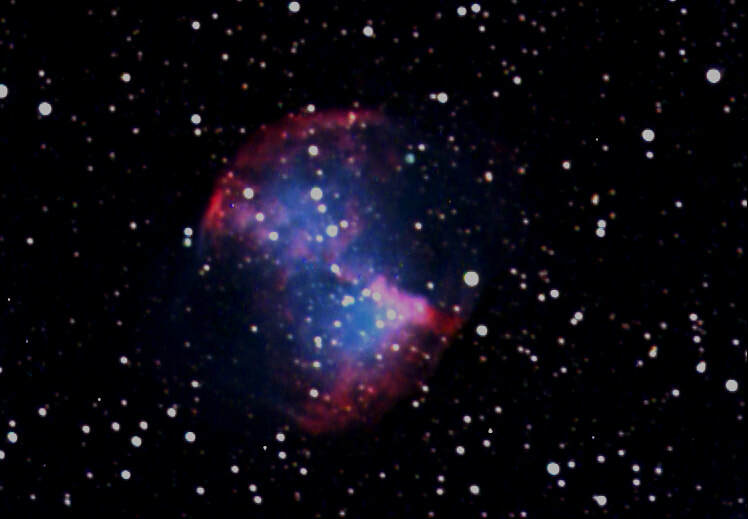 M27, Dumbell Nebulae, in Velpepula. 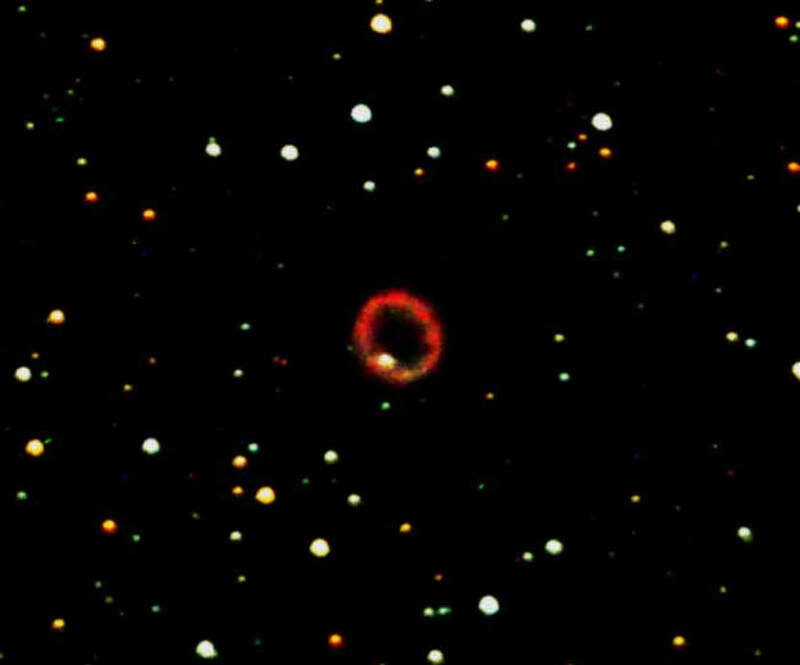 Fine planetary nebuale and example of nova remnant. 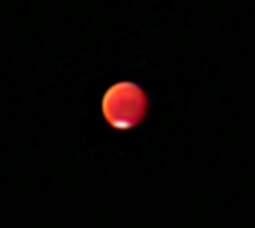 Taken with 12" SCT at F-10 with MX7C camera by Nina DeSoi (9/05/02). orpernicus Crater on surface of the moon. Taken with MX-7C CCD imager with 12" SCT at F-10 (0.04 seconds). Cropped and processed with Adobe Photoshop 7.0 (3/23/02 by KBQ). 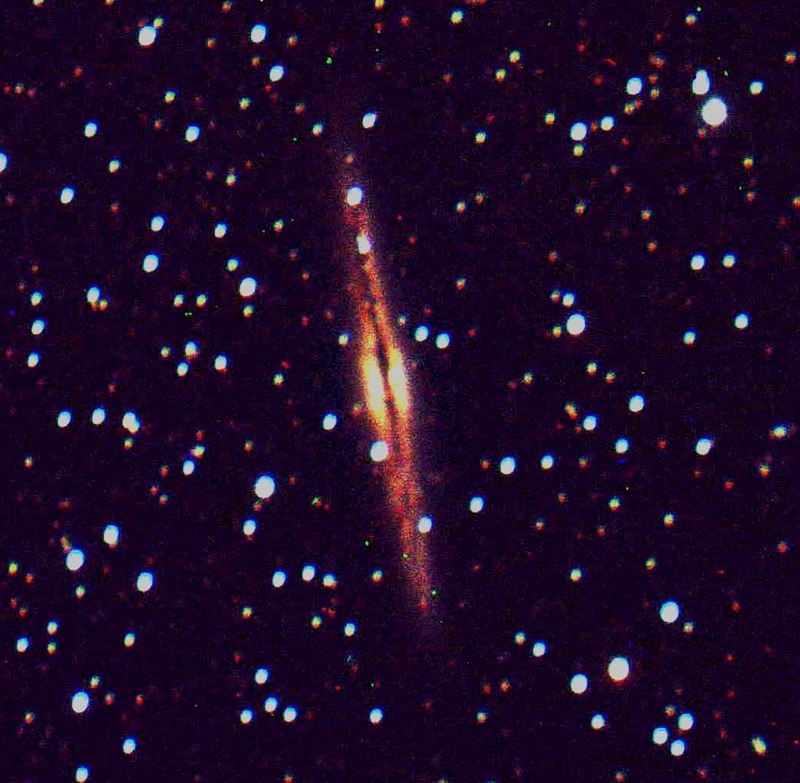 NGC 891 in Andromeda. 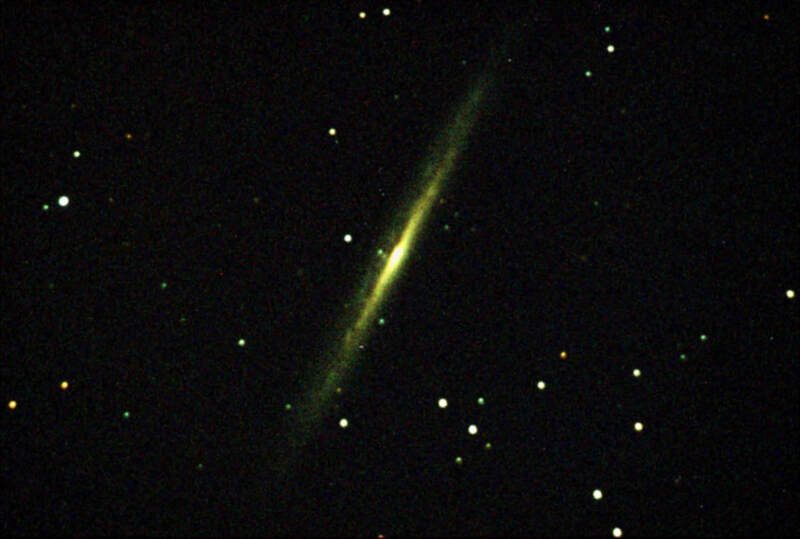 Fine edge-on spiral (Sb) galaxy 31 million light years distant, and containing approximatly 150 billion stars. Taken with 12" LX-200 using SBIG ST-10ME with red, green and blue images taken for 360 seconds each and processed with CCDSoft and Adobe Photoshop (11/03/02 by KBQ). 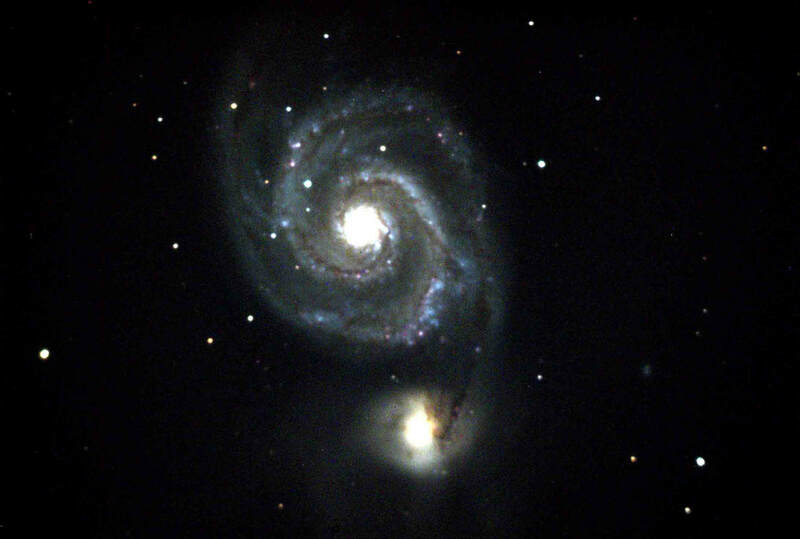 Messier 51 (Whirlpool Galaxy), beautiful face on spiral galaxy with its smaller companion (NGC 5195) in the foreground (not gravitationally connected). 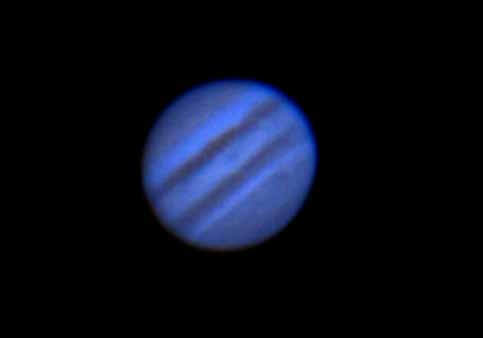 Images were taken at 6 minutes throught red, green and blue filters with Meade GPS LX200 with SBIG ST10ME. Processed with CCDSoft and Adobe Photoshop (By KBQ, May 17, 2003). 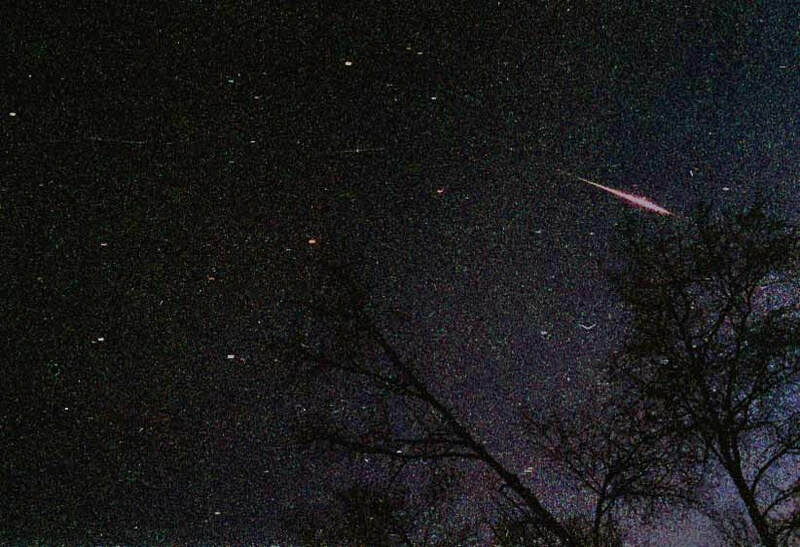 Leonid meteor shower, with single meteor image captured as it passed over treetops in the southwest in a hazy evening. Imaged with a 35 mm Olympus OM1 camera at 1.8 F-stop with camera set open on bulb setting for 60 seconds on stable mount. The Leonids are considered one of the brightest yearly meteor displays occuring when the Earth passes through the remnants of a comet which passed through our orbit, with the best displays occuring every 33 years, with up to 40 leonids seen each second at its peak (November 17, 2001, KBQ). M-17 (NGC 6618), also known as the Omega nebula or Swan Nebula, located in Sagittarius. This is a beautiful emission nebula and associated open star cluster has an angular size of 20 by 15 arc minutes and is easily seen with binoculars. Imaged with Meade GPS LX-200 (at F-4.5 with Lumicon Giant Easy Guider) using SBIG ST10-ME, and autoguided with SBIGs STV for 180 seconds for red, green, and blue. Processed with CCDSoft and Adobe Photoshop (July 25, 2003, KBQ). M-31 (NGC 224), Great Galaxy of Andromeda, with associated galaxies M 32 and M 110. Located 2.2 million light years distant and part of our Local Group of galaxies. First discovered as a faint "smudge" in 905 AD by the Persian astronomer Al Sufi, it is notable as being the site where Hubble discovered the Cepheid variable which put this "nebula" out of our own galaxy, thereby beginning the process of discovereing that many so called "nebula" were actually "island universes" (galaxies"), each made up of billions of stars. This dramatically changed our picture of the universe and our (very small) place in it (up until then the theory of Shapley and others indicated that the entire universe was enclosed in our Milky Way galaxy, less than 100,000 light years in diameter). Imaged with Tele Vue NP101 (F-5.4) with Fuji Superia 400 using Taurus camera (parafocal focusing) and autoguided for 35 minutes with SBIG STV autoguider and separate guidescope. Digitalized with Poloroid SprintScan 35 Plus and processed with Adobe Photoshop (August 8, 2002, KBQ). 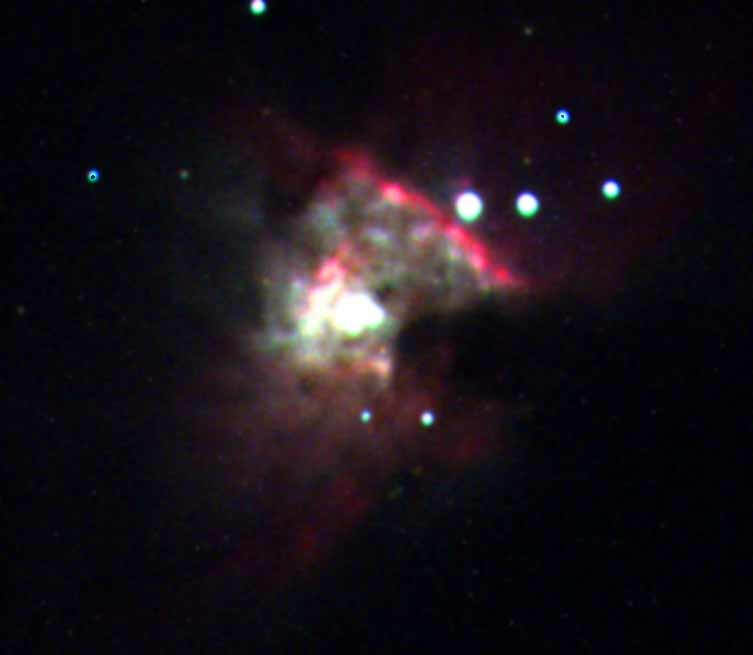 Trapezium region of M 42, known as Orion's Nebula. Located just below the belt (along the sword) of Orion, at a distance of 1600 light years. This is a classic emission nebula with a small associated open cluster of young stars (perhaps 20-40 million years old). 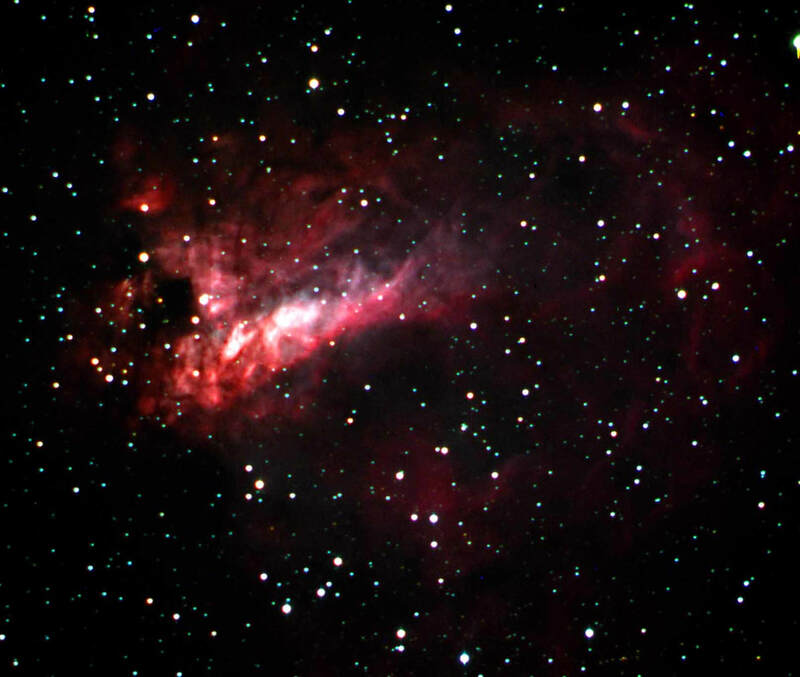 This image shows the "trapezium' or center of the nebula where these young stars are emitting (among other things) ultraviolet light which ionizes hydrogen, which later recombines, releasing energy including visable light (primarily 'red' at 6562 angstoms, the so called 'hydrogen-Alpha line), resulting in the deep red color of this and a number of nebula. 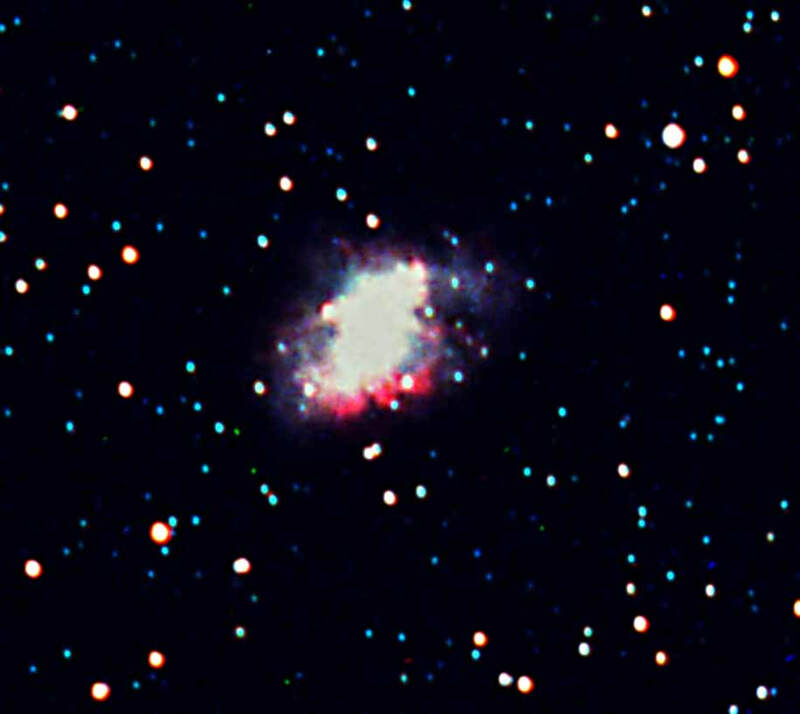 Imaged using Tele Vue NP 101 (F-5.4) with SBIG ST10-ME at 20 seconds for R,G and B, processed with CCDSoft and Adobe Photoshop 7.0. (January 12, 2003, KBQ). 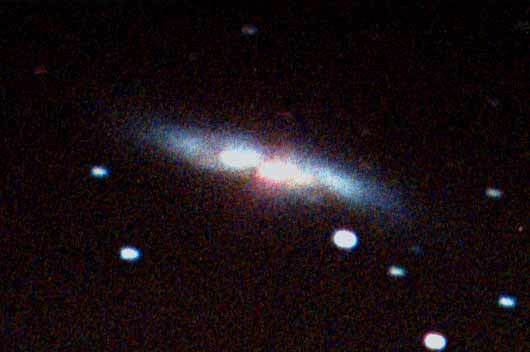 M-82 (NGC 3034), highly processed to accentuate the unusual features of this spiral galaxy found within Ursa Major. 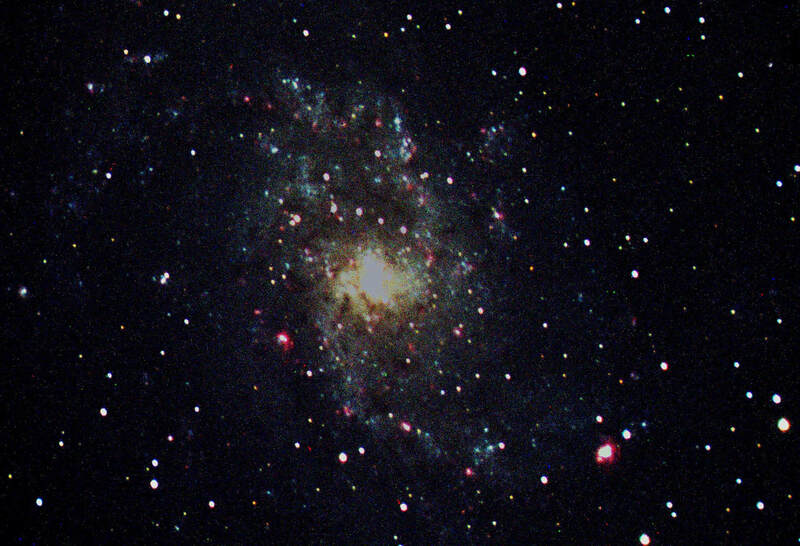 Located 17 million light years distant, and also known as Bode's Galaxy (after its discoverer). The center appears to be undergoing a violent eruption, with wisps of 'filiments' tracing over 30,000 light years from the core of this 55,000 light year diameter galaxy. However, currently it is believed that there are a large number of supernova and stars in the early stages of formation, which may be related to M 81 ploughing through this galaxy some 40 million years ago. Imaged with Meade LX-200 at F-4.5 (with Lumicon Giant Easy Guider) autoguided with SBIG ST-4 (with guidescope) using Taurus parafocal system and Kodac PPF-400 for 45' . As noted, heavily processed with Adobe Photoshop (12/1/99 by KBQ). 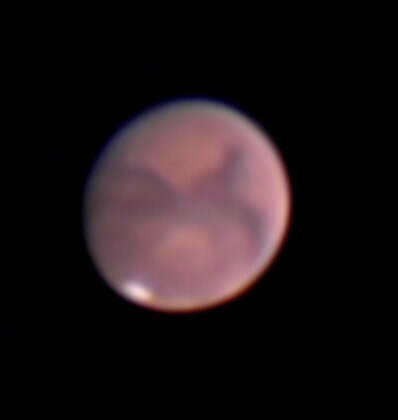 Mars, imaged on 7/18/03 using Astrovid Stella-Cam EX with NP-101 Tele Vue refractor with 5x powermate (effective F ratio of 27 based on powermate). Processed with the planetary wizard on K3CCD tools with 50 of 200 images saved, stacked and processed (KBQ). Sky conditions were poor with upper atmosphere disturbance and significant water content in air, per 'cleardarkskys' website for Greene, Maine. NGC 5907, a beautiful edge on galaxy located in the constellation Draco. Noted for its elongated central core and faint dark lane located along its western edge. 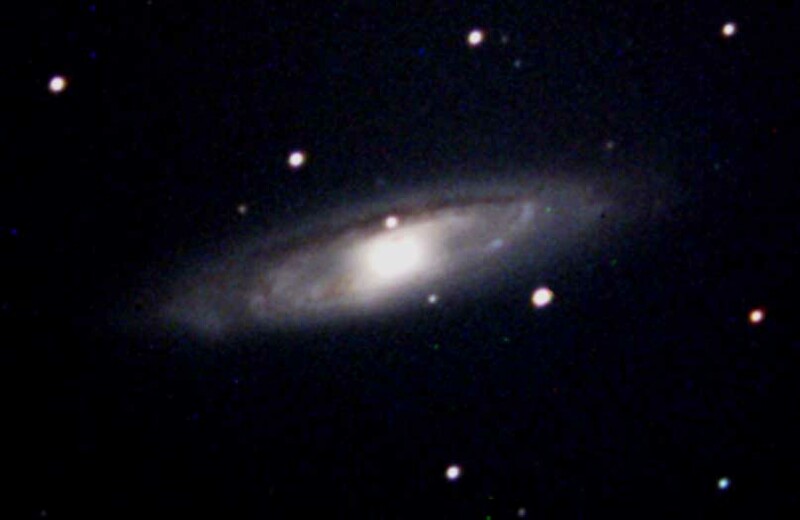 Imaged with 12" GPS LX-200 using SBIG STV with guidescope (altered Lumicon viewscope, 8 cm aperture and 30 cm focal length). SBIG ST10-ME used with L. R, G and B channels at 360 seconds each, processed with CCDSoft and Adobe Photoshop (June 16, 2003, KBQ). NGC 6894, a faint planetary nebula located in Cygnus. The central star, nova and source of the planetary nebula, has a visual magnitue of 17.6. This nebula has a diameter of only 40 arc seconds. Imaged with Meade GPS LX-200 at F-10 using SBIG STV autoguider with guidescope. Captured with SBIG ST10-ME with L,R,G and B filters for 360 seconds each, processed with CCDSoft and Adobe Photoshop (May 17, 2003, KBQ). NGC 869, part of the stunning dual open star cluster (NGC 869 and NGC 884) in Perseus. NGC 869 is the brightest of the two with a number of blue early-B giants and supergiants present. This is therefore a relatively young open cluster, perhaps 6 million years old, and 7,200 light years distant. 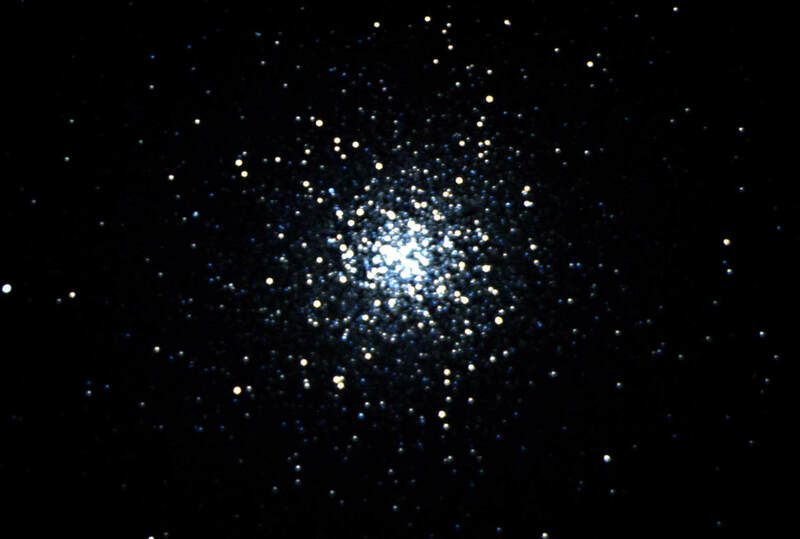 The cluster is about 29 arc minutes in diameter. Imaged by Dr Richard Kahn with GPS LX-200 at F-4.5 (using Lumicon Giant Easy Guider) and autoguided with SBIG STV with guidescope. ST10-ME used with R,G and B filters for 180 seconds each and processed CCDSoft and Adobe Photoshop (Dec 18, 2002, Photographed by Dr. Richard Kahn). 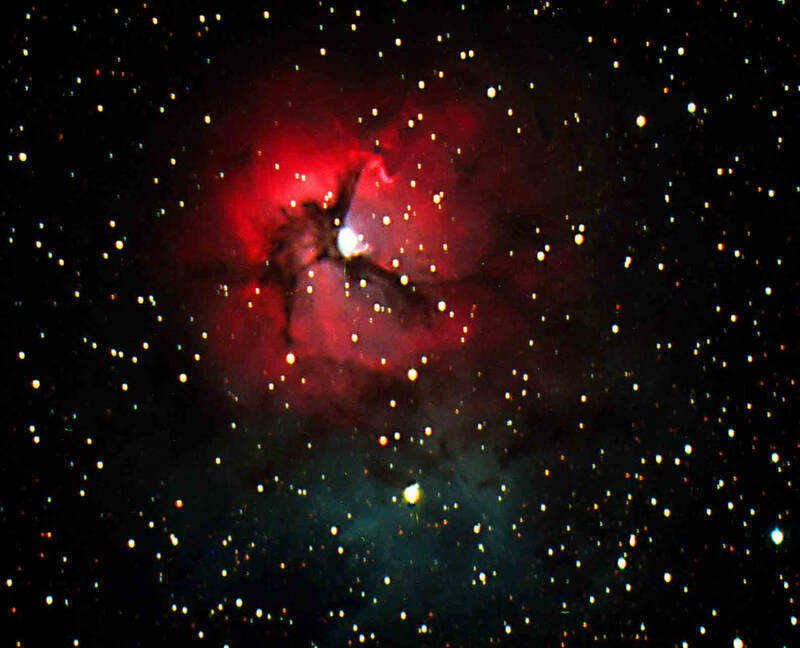 M-20 (NGC 6514), the Trifid Nebula. A beautiful emission nebula of glowing hydrogen (red) separated into "three" (some would say four) segments by dust lanes, with its accompanying blue reflection nebula. Located in the constellation of Sagittarius. Taken with Meade 12" GPS LX-200 (at F-4.5 using Lumicon Giant Easy Guider) with SBIG ST10-ME, and autoguided with guidescope using SBIG STV. Red, Green and Blue filters used for 300 seconds each and processed with CCDSoft and Adobe Photoshop (July 18, 2003, KBQ). 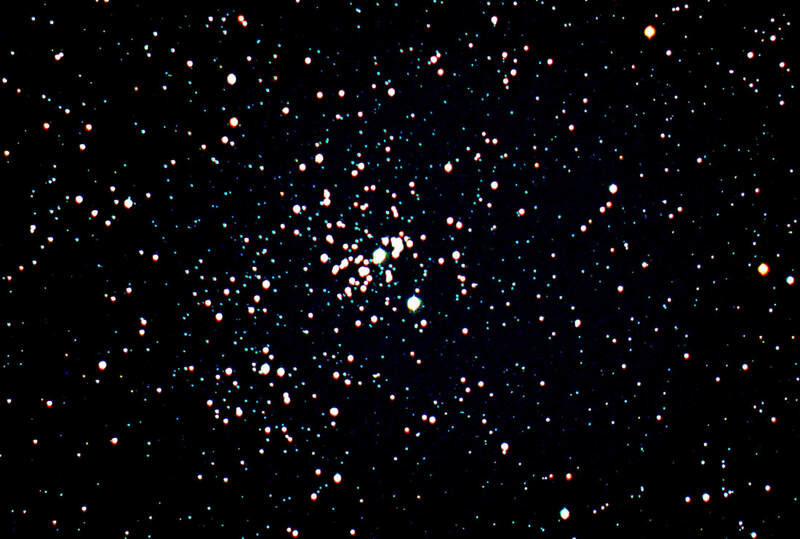 M65 (NGC 3623) in Leo. 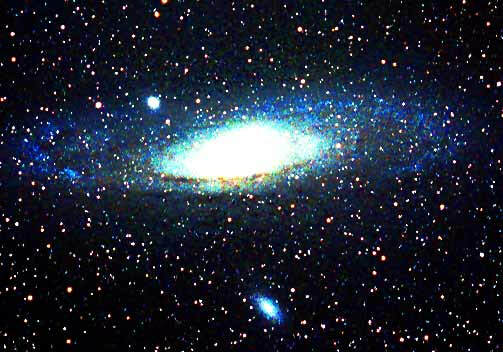 This galaxy is one of several which make up the so called "Leo I Galaxy Cloud". Leo and Virgo are a virtual treasure house of galaxies, the most famous grouping of which is the "Virgo Supercluster", of which our galaxy is a part. M65 is about 31 light years distant and 2' by 7' in angular size. Taken with a GPS LX-200 with an SBIG ST10-XME and AO, with RGB each at 5 minutes. Processed (including deconvolution) with CCDSoft and Adobe Photoshop (KBQ, 3/28/04). Sky conditions fair. 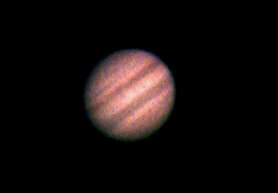 Jupiter as imaged on a night with "fair" seeing and trasnparency. Imaged with a 2X TeleVue barlow and Meade 12" GPS LX-200 using the Meade LPI video camera and software. Camera exposure time of 0.090 seconds. Composite (aligned and processed) of 56 images, with approximately 150 images rejected automatically due to poor quality. (KBQ, 3/28/04).